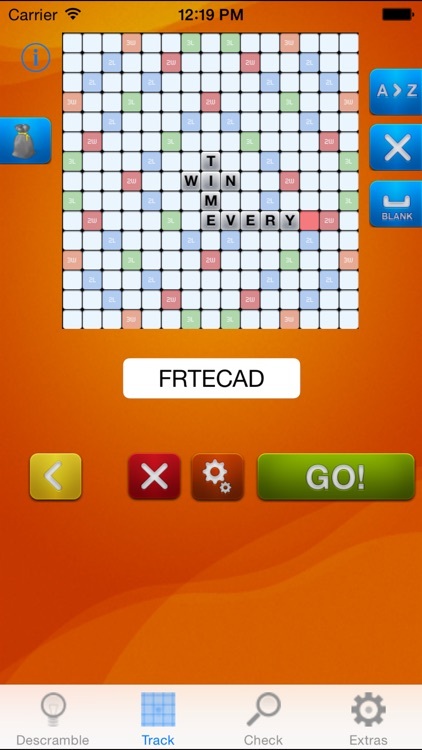 Do you love the SCRABBLE crossword game? Do you struggle sometimes to find the best word to use? Don't worry, it's a common problem to be linguistically challenged. 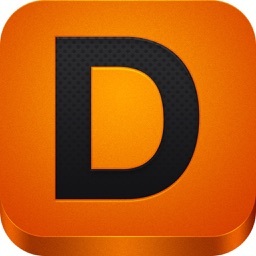 Let Descrambler come to the rescue! Whether you're a tournament pro wanting a quick word check, or just a rookie looking to hone your skills and learn new words, Descrambler is the ultimate resource for players of all skill levels. 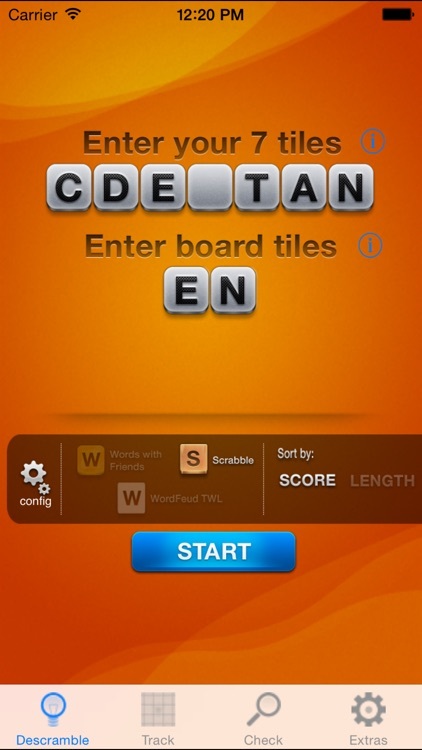 Enter your 7 tiles, and optionally the board tiles you'd like to include, hit Start... and presto, all possible word combinations are displayed in addition to the word score. We can even output the words in tournament format if you're so inclined. 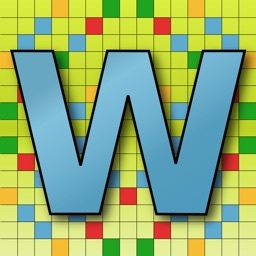 Descrambler also can track complete games! Enter your opponents words as they are played, enter your tile rack, and presto - you can see ALL PLAYABLE WORDS for your turn! 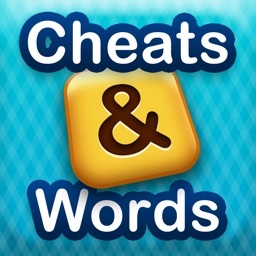 This is the ultimate word game learning tool... you can see hundreds, if not thousands of words on each turn! 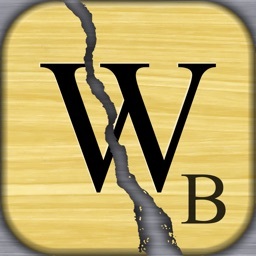 Descrambler also comes with a word check function where you can easily verify that a word really exists. This is great for settling disputes when your know-it-all partner invents crazy words and pretends they're real! 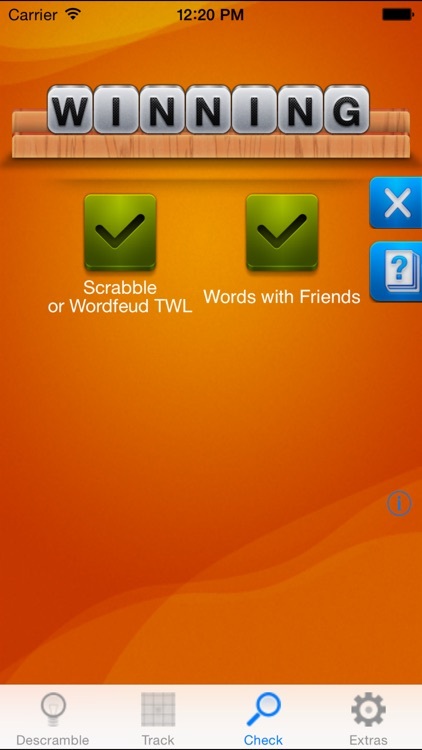 Descrambler also is a great tool for players of Words with Friends, Wordfeud, Boggle, Literati, Crossword Puzzles and all sorts of other word games. 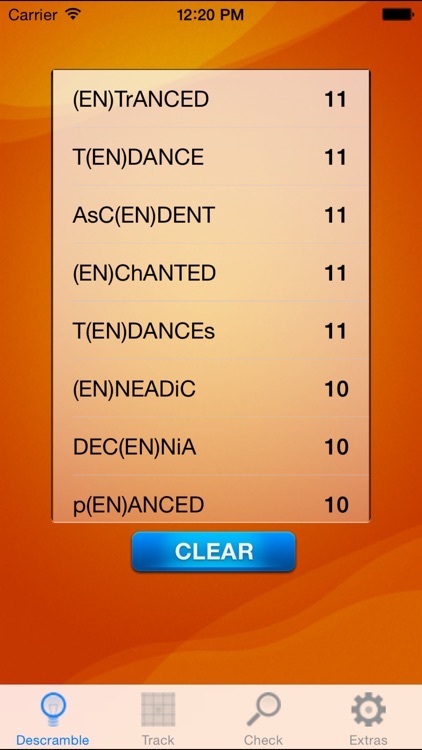 It can also be used to find Anagrams. Go ahead and try it out. 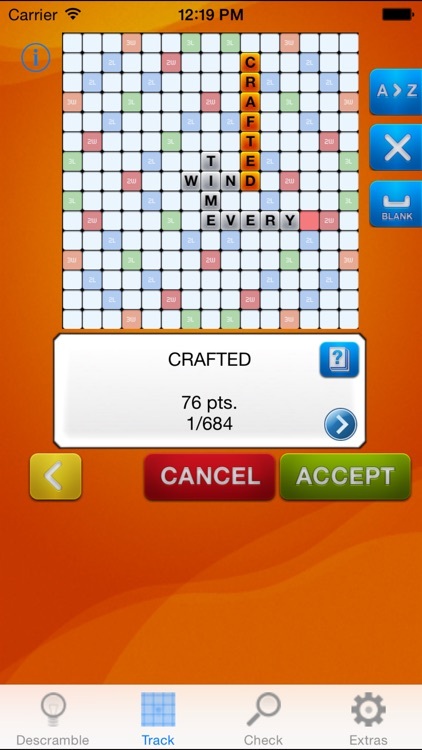 We think you'll find it an indispensable resource while you're playing the SCRABBLE crossword game. Plus it's FREE, so what do you have to lose! Note: Some people seem to be missing the 'Start' button in the Descrambler tab. You must push the start button to start searching for words. 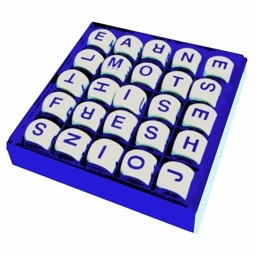 SCRABBLE is a registered trademark of Hasbro, Inc.